Innovel staff have been in the Agile community since 2004, and we have a large network of Agile experts we partner with to ensure clients get great training and coaching. The Agile community is a small world, and with clients and connections from Austin, Texas to Stockholm, Sweden to Kiev, Ukraine we can provide trusted support to meet our clients goals. I have been in the software industry for over 26 years after receiving a degree in Electrical Engineering. In 2002 I was hired as VP of Technology to help a struggling software company that was having challenges releasing their product and getting it to market. As I began to dive into the challenges of the company and find a solution I realized that traditional project management wouldn’t work. That’s when I discovered Scrum and XP (eXtreme Programming) and thought these techniques would fit the rapidly changing customer requirements we were challenged with. After discovering the power of Agile methods I started to apply them with my clients and employers with outstanding results. I worked as a member of the Agile Transition team on the largest transition to Scrum in the financial services industry with Capital One. 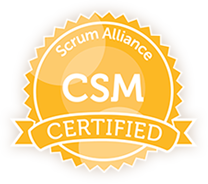 As a Certified Scrum Trainer (CST) with the Scrum Alliance I work with clients across North America and Europe providing training and consulting in Scrum, Product Management, Lean and Agile Transition & Adoption. 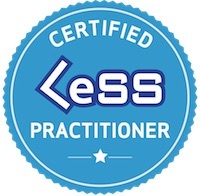 My courses include the Certified Scrum Master, Certified Scrum Product Owner, Lean and Agile Manager, and others. I’ve trained over 4,000 people from companies such as Capital One, Citibank, Wachovia, Sony, Dolby, Shaw Cable, AT&T Wireless AGFA, ThermoFisher Scientific, Travelocity and many others. ✓ SOFTWARE COMPANIES – That are challenged with releasing products quickly and reliably while growing & retaining an engaged workforce. ✓ FINANCIAL SERVICES – Where it is often a struggle to quickly deliver quality solutions to internal and external customers in a repeatable and reliable way. ✓ HEALTHCARE IT – Hospitals have big concerns with software changes because of the possibility of the loss of confidential information, downtime or loss of access to systems. If you’re an IT Director, Project Manager, CIO, VP of Technology, Software Developer or Product Manager and would like to learn more about how I can help you with Scrum Training & Agile Adoption email me. 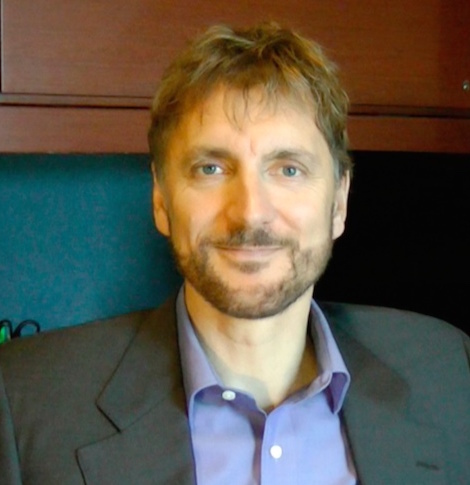 A frequent speaker and author in the Agile community, Robin Dymond presented keynote talks and sessions at conferences since 2003. For more information see the Speaking and Presentations page for copies of presentations and papers. 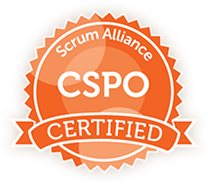 Certified Scrum Product Owner (CSPO) (2008) published PO training materials at Agile 2007. Problem Solving Leadership (PSL) Workshop, Albuquerque NM (2010) with Jerry Weinberg, Esther Derby, Johanna Rothman.